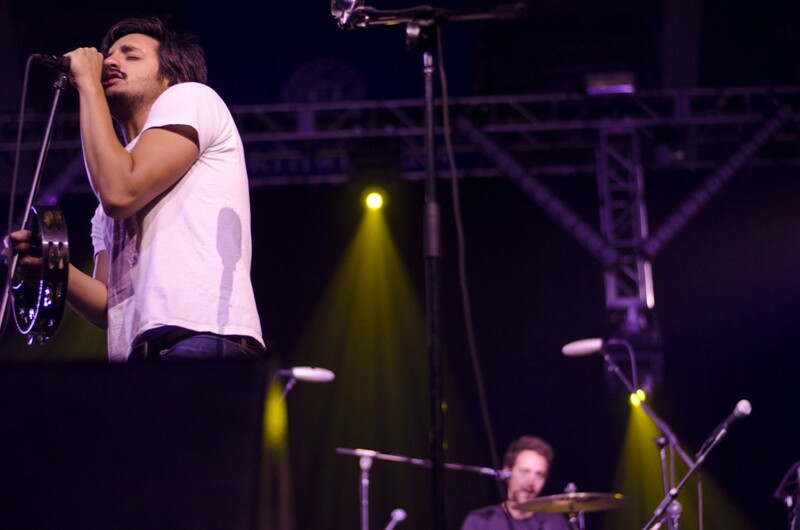 Young the Giant lead vocalist Sameer Gadhia sings “My Body” during the Blowout. For this year’s Blowout concert at Welsh-Ryan Arena, A&O Productions brought rapper Nas and indie rock band Young the Giant. The guest artists were announced to the freshman class during Wildcat Welcome by President Morton Schapiro. Students showed various reactions at the event. Perhaps they would have preferred a repeat of Snoop’s Blowout performance from two years ago. After all, he’s now evolved into Snoop Lion. Bouncing back from a close loss in a game against Penn State, the Wildcats defeated Minnesota 21-13 and became bowl-eligible for the sixth consecutive season. Though sophomore quarterback Trevor Siemian struggled, junior quarterback Kain Colter continued to score touchdowns. Junior running back Venric Mark dominated the running game with two touchdowns and a career-high 182 yards. The next game is against Nebraska over Family Weekend. Go Cats! Show the parents what they are paying for! Last Sunday, famous cellist Yo-Yo Ma, former New York City Ballet principal dancer Damian Woetzel, John Hodgman of “The Daily Show with Jon Stewart” and playwright and NPR host Peter Sagal came to Cahn Auditorium for the Chicago Humanities Festival’s Northwestern Day. While Ma performed with the Chicago Symphony Orchestra, Woetzel directed the audience to dance along to the music. In addition to Ma’s and Woetzel’s lecture, Hodgman discussed his latest book and the impact of technology on his career. Did I mention Hodgman threw his socks to the audience? This year’s One Book One Northwestern was “Never a City So Real” by Alex Kotlowitz, our own senior lecturer at the Medill School of Journalism. Yesterday, Kotlowitz delivered a keynote address and signed students’ books. One Book is designed to bring undergraduates together by providing a common academic experience centered around a book that students read, or don’t read, simultaneously.